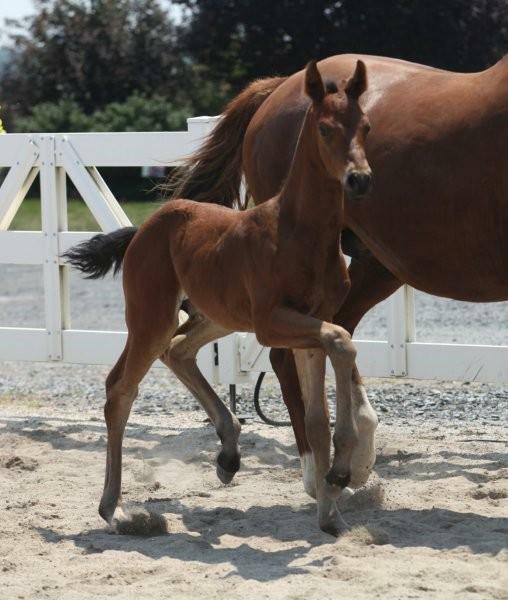 Premium, Foal of Distinction and fully approved and licensed stallion. Also a breed show grand champion! 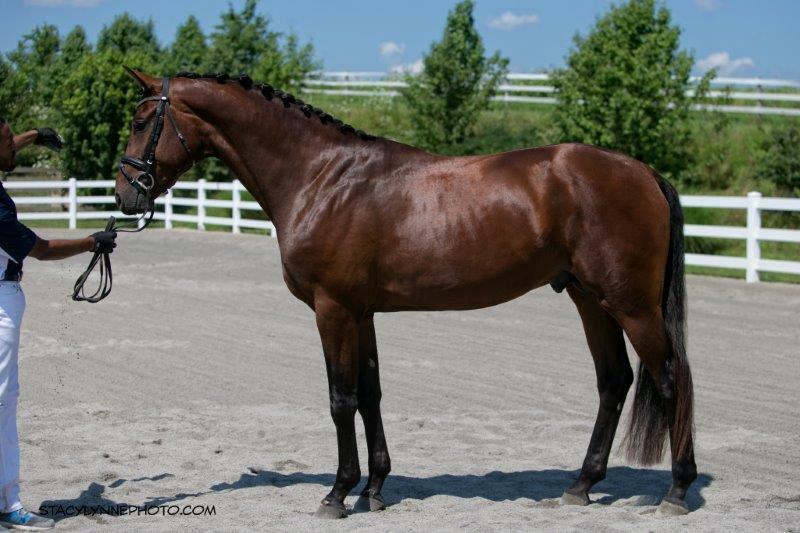 April 2013: This is a stallion prospect that we are all excited about. 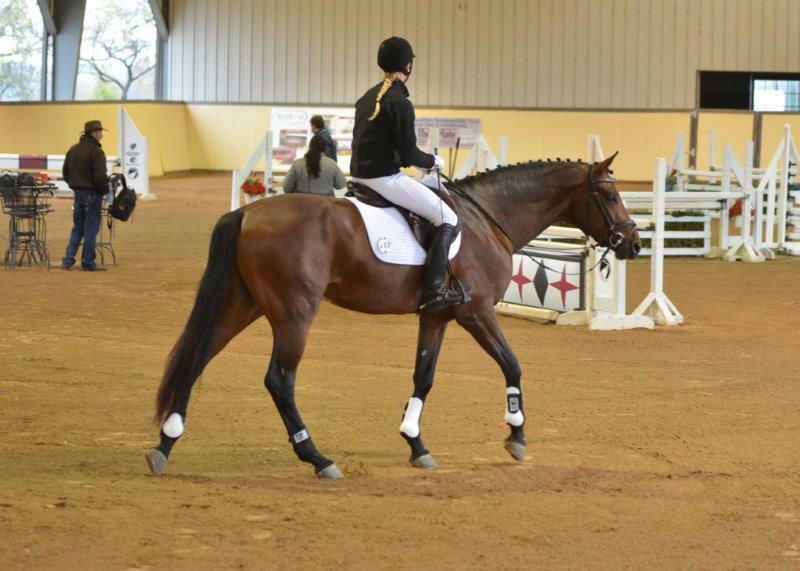 We evaluated him free in the indoor and he took our breath away- WOW! Birth report:The last foal of the year- number 26! PHEW! This REALLY tall colt waited like a good boy to be born so that my kids and grandkids could watch the birth. Plus, he was very accomodating by doing it before their bedtime. 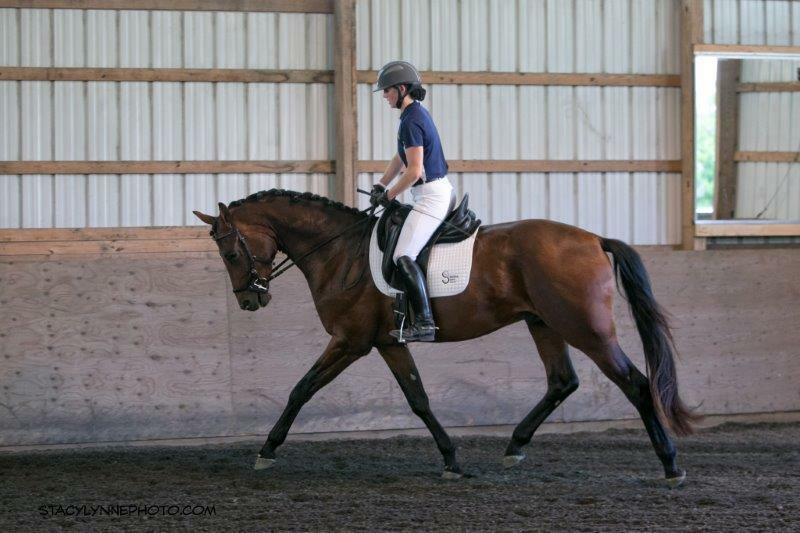 He is really pretty and correct with the longest legs we've had in quite a while. We've named him Shortstop, which obviously has nothing to do with his size- it's the position that my grand daughter Kaylee plays on her softball team. 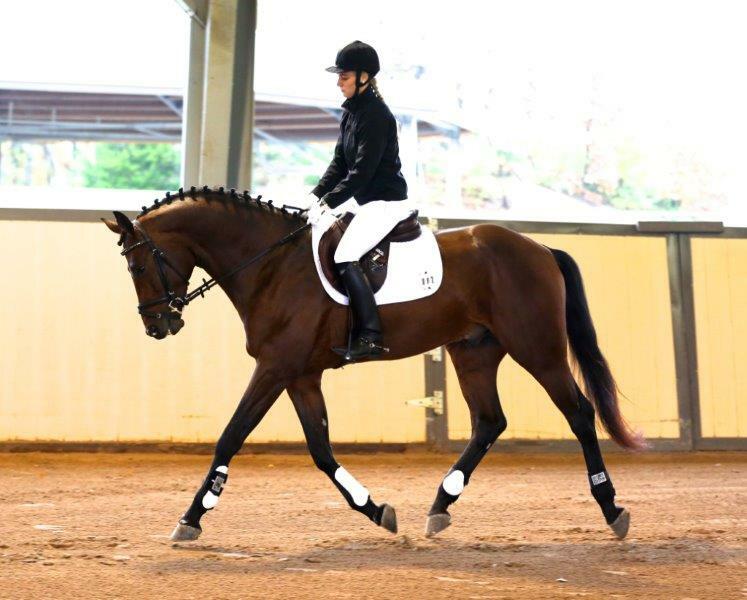 Shortstop was licensed by the German Oldenburg Verband (GOV) in August 2015 after a successful show season in hand. 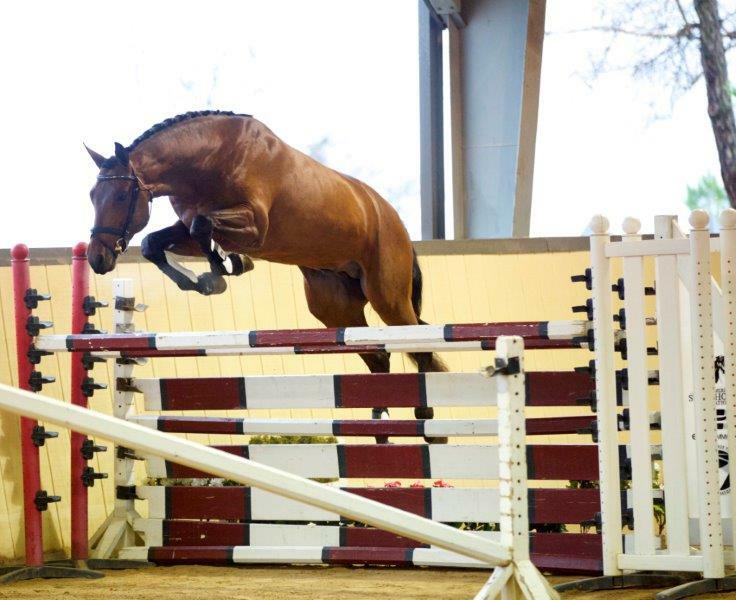 He successfully completed the 70 day stallion test on Oklahoma in autumn of 2015, bringing him fully licensed and approved stallion status from the German Oldenburg Verband (GOV). 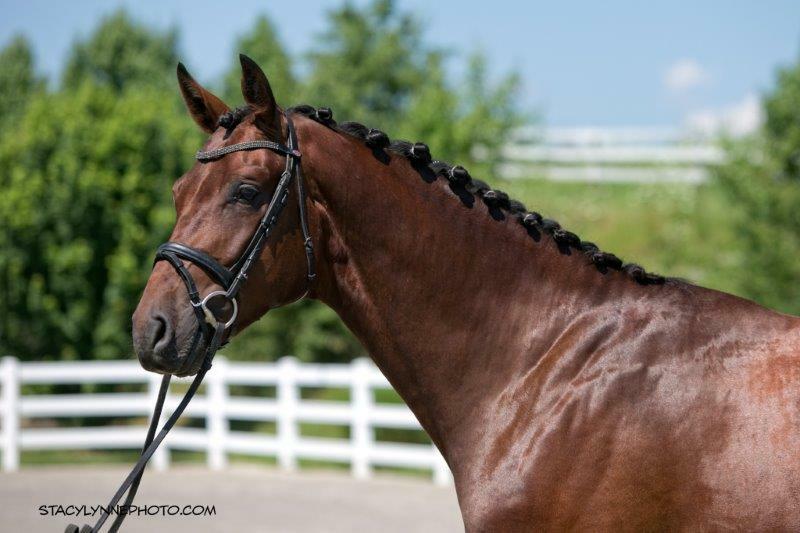 He is eligible to be presented to many other breed registries (Oldenburg -ISR, RPSI, SBS, Holsteiner, Trakehner). He is sadly offered for sale. 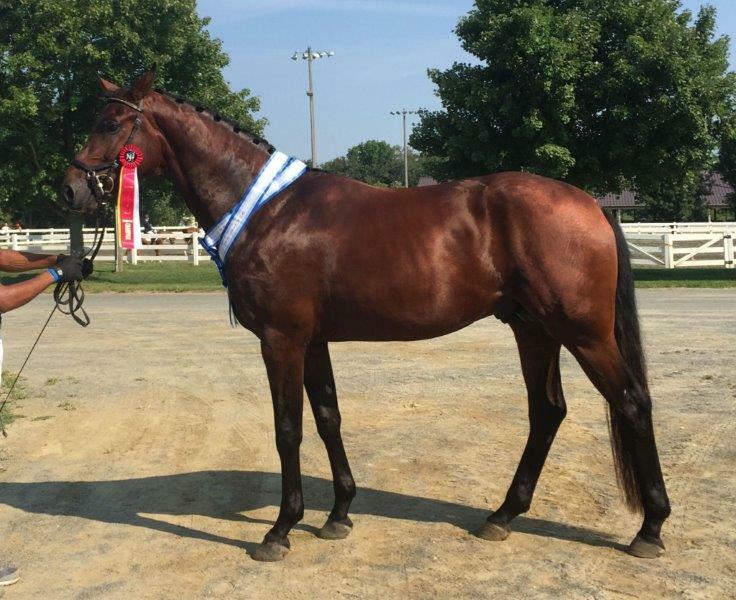 2015 Champion Horse of the Year for USDF All Breeds Award for the GOV. 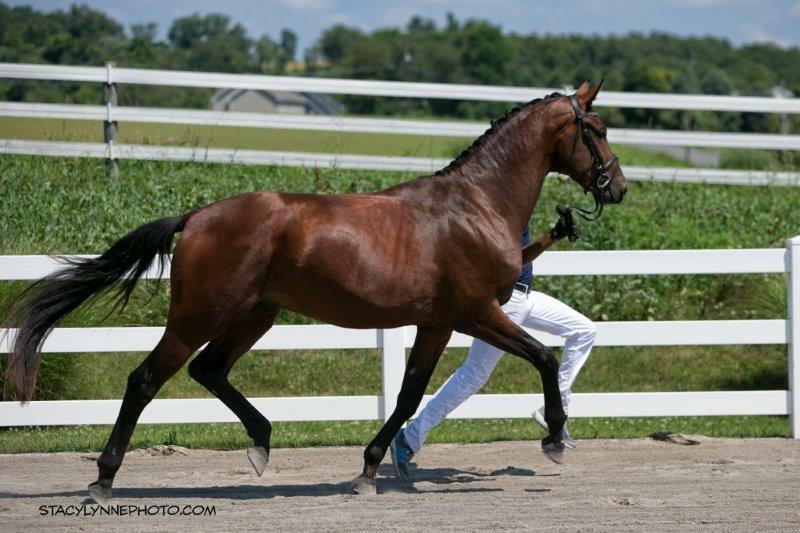 Three year old Shortstop was sent to the 70 day stallion test in Autumn 2015 in Oklahoma at the last minute, with very little preparation, one week before the test started because I was informed that this would be their last time running the test. He had been out of work because of a jaw injury and was just coming back to work when I sent him. bad for a green broke, out of shape 3 year old! He came home from the stallion test needing his hooves balanced again, and therefore needing rest for his sore muscles. We put him back in work in spring of 2016. By mid summer, he was tripping. We had him tested for EPM, which came back positive. He was treated for 4 months with Marquis and as of January of 2017, he is slowly coming back into work. He has been growing a LOT, so we think that all of this down time has been a good thing. He has had time to grow and develop without the stress of too much training. He is a very easy going stallion, with a volunteer attitude and a good mind. I am offering him for sale, regrettably, because I don't need to stand two sons of Shakespeare RSF, plus Shakespeare himself, plus another "S" line stallion in Sir James. Contact me if you are interested.